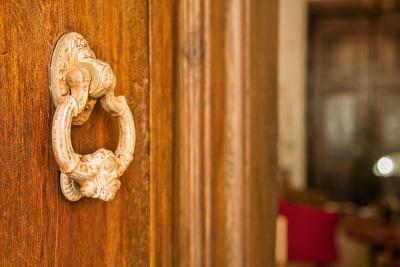 Lock in a great price for Casa Sibarita – rated 9.1 by recent guests! Very cozy and quiet hotel. Staff is helpful and smiling :) The village and the surroundings are really beautiful! 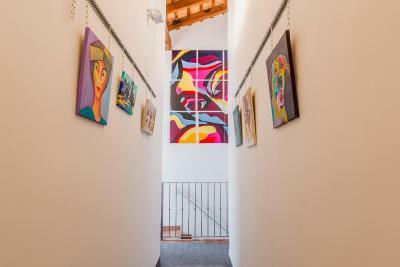 We always seek out an experience that is unique, where you can experience the local scene. Rafelguaraf is a lovely place to be. We were made very welcome by everyone we met. Sophie, Charlotte and Merv made us feel very special. Nothing was too much trouble. A super place to stay, but you need wheels, to see what there is to see! Lovely everything and the owners where beautiful persons. So friendly and helpful and likeable. We really recommend this place. A beautiful house and so clean and super nice interior. Big love!!! Great place to stay.lovely host. For an overnight stay recommended. Very friendly staff, good breakfast. The house was very beautifully decorated! Character property with great hosts who speak French and English. 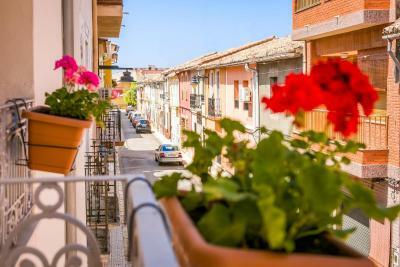 The owners are lovely, the property beautiful, and the village enchanting. Breakfast was very good. There are only 2-3 bars / restaurants but the central square was lively and friendly as the evening drew in. The staff were lovely and the accommodation was great. Having the pool was a real bonus. The breakfast was tasty and the location very peaceful. Salle de bain fonctionnelles et très propres. Pas de Pommeau de douche donc pas pratique car pas réglable en hauteur. Chambre côté cour avec petite terrasse car moins bruyante. Set in Rafelguaraf, Casa Sibarita is a boutique hotel boasting a terrace and a shared lounge. With a bar, the property also features on-site dining. Free WiFi is at guests' disposal. At the hotel, each room is equipped with a wardrobe. Each room is fitted with a private bathroom, and some rooms at Casa Sibarita have a terrace. At the accommodations every room is equipped with a seating area. Breakfast is included. Casa Sibarita offers an outdoor pool. Cycling and hiking are among the activities that guests of the hotel can find nearby. Valencia is 29 mi from Casa Sibarita. Valencia Airport is 30 mi from the property. This property also has one of the top-rated locations in Rafelguaraf! Guests are happier about it compared to other properties in the area. This property is also rated for the best value in Rafelguaraf! Guests are getting more for their money when compared to other properties in this city. 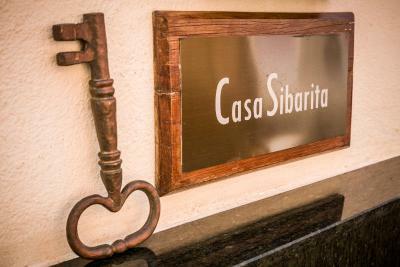 When would you like to stay at Casa Sibarita? 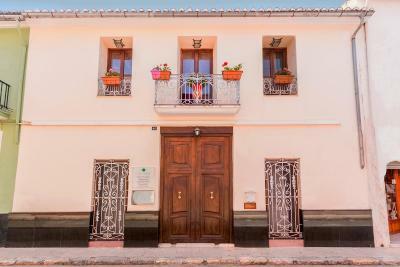 This double room has a balcony, air conditioning and patio. This deluxe double room features a terrace. This deluxe twin room comes with private bathroom. This house comes with 2 deluxe twin rooms with private bathroom, 2 deluxe double rooms with terrace and 1 deluxe double room with private bathroom and a balcony. House Rules Casa Sibarita takes special requests – add in the next step! Casa Sibarita accepts these cards and reserves the right to temporarily hold an amount prior to arrival. Unfortunately, our hire car was scratched on the bonnet, causing 200 euros of damage. If you hire a car, then beware of the local cyclists who park their bikes anywhere, in front and behind your car, and if they do not leave it supported, then it falls on your car!!!!! Our room faced the street so we could hear some of the noise from the nearby bar. Didn't bother us too much though. We were very well attended to. Brilliant breakfast and deliscious dinner! Without a car it's difficult to get around.